If the first season of Deep Space Nine introduced us to the characters and setting, the second year was nothing like we expected. Season two (from 1993/94) stepped up the game. The standalone nature of the majority of the first season was almost swept aside in favour of utilising the stationary nature of Deep Space Nine and building a story around the setting. Indeed, a lot of the stories here would be continued and expanded through the following five years of the show although we wouldn't appreciate that at the time and there would even be a few that got unexpected sequels. Already we've touched on the Dominion's influence on this season so let's take a look at what else was going on out on the edge of the final frontier. 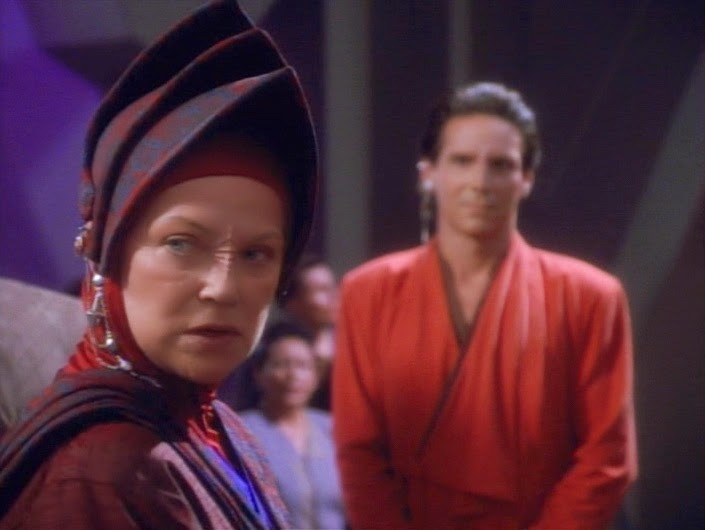 To some degree there was a degree of continuation from season one in the opening - and rule-breaking three-part story focusing on the Bajorans. It would take until season six for there to be another multi-part story but The Homecoming, The Circle and The Siege set the tone for the year; darker, treacherous and providing a greater prominence to the characters of Bareil and Winn who would become recurring characters to different levels of success. The opener with the arrival of former-terrorist-come-legend Li Nalas has some wonderful outdoor location filming during the prison break however easy it might seem to free him. 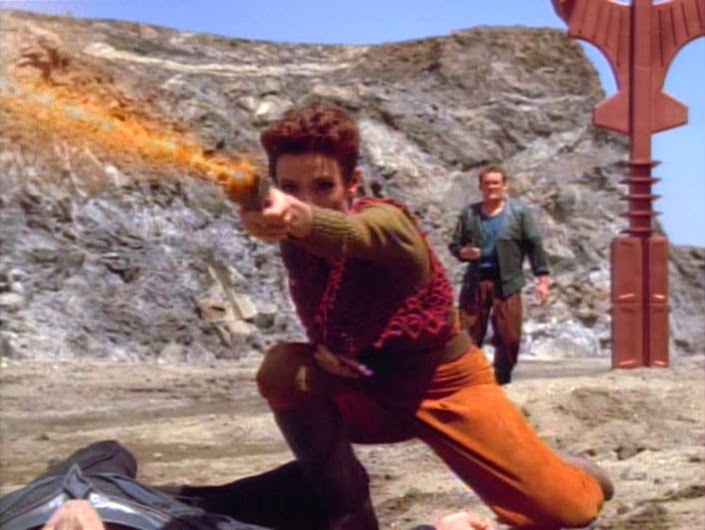 As openers go it's strong - something that every season of Deep Space Nine managed right through to Image in the Sand and truly emphasises the precarious nature of the Federation's relationship with the Bajoran populace. In true form there's no total happy ending - and no finite ending at all as the story of the vedeks would be a string to follow through the year. The middle part does get a little stale and that's more than likely due to inexperience in writing three-episode arcs but the overall result is still one of the best in the first couple of years. Everyone has at least something to do here and Kira's displacement at this point in the season does jar you a bit - had Visitor not intended to come back for another 26 episodes?! The shame is that after evacuating the station for The Siege and having a wonderful game of cat and mouse through the access tubes, what bugs me is that they do it all over again in Invasive Procedures. Featuring John Glover and future Tuvok, Tim Russ, it's not bad, just average and from the off you know that the symbiont will be back inside Jadzia by the fifth act. It's more an exploration of Trill science and character than anything else but it's not a story I was thrilled by. Guess they must have needed a bottle show to recoup some of the cost from the episodes that kicked off the season. Season two is full of peaks and troughs, making it the most uneven season of any of the series in my opinion. There are also times when we get "doubles" shoved together but I'll cover that as we go through the year. The highs are galactic while the lows leave a lot to be desired however considering this is the only Star Trek show set in one place and on a space station there was always going to be a lot of experimentation going on. Indeed, Necessary Evil is a prime example of just that. The first time I saw a still from Necessary Evil I was instantly enthralled. Focusing on Odo and Kira - easily two of the most watchable characters in the show, it's almost a noir thriller. Shame the sequel, Things Past was nowhere near as strong. Just seeing Deep Space Nine in the Terok Nor days makes this a key segment in the series, visualising the much-talked about Occupation for the first time since it's introduction back in Ensign Ro from The Next Generation. The story itself is great all the way, unusually placing a main character in a less than favourable light which marked the show out against it's sister which was in its final year at this time. Deep Space Nine's cast were nowhere near the elite that we saw on the Enterprise with Picard. This wasn't exactly the plumb assignment in the fleet and in this year both this episode and the later Blood Oath certainly painted darker sides to these complex characters. In fact, looking further into the future none of the crew were even greyer than grey which made it even more essential Star Trek viewing for me. The next high point took a while to come but it's one I remember because my Technology teacher at school found it rather fascinating - Armageddon Game. 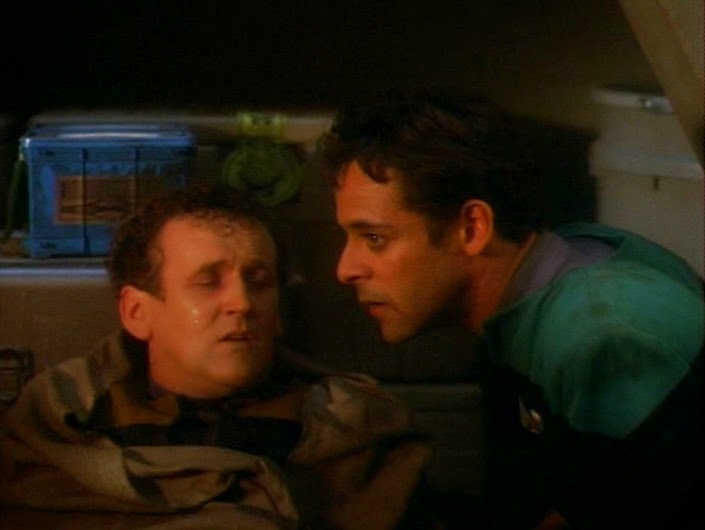 Coupling an engineered virus with the rocky O'Brien/Bashir relationship was always going to be a winner. I find myself more drawn to their conflict and predicament than the plot that puts them into the situation in the first place. Siddig and Meaney were a great double-team when they were placed together. The fact that this story is followed by the equally excellent Whispers only strengthens that relationship since we see the hostility that O'Brien receives when he returns to the station during the flashbacks. Whispers is a great piece of drama and highlights just why Meaney always ends up with these heavy stories to deal with as the Chief of Operations. The paranoia here is almost at a level where you can taste it. Once again Deep Space Nine proved it could take a fairly well-known story concept and then manage to turn it all inside out just when you thought you had seen everything. Season Two also focused on Star Trek heritage more than The Next Generation ever attempted with not one but two episodes drawing on the past in Blood Oath and shortly thereafter Crossover. Both of which act to start off story arcs that would last through to the final year of Deep Space Nine but would be the strongest installments of their respective strands. For Blood Oath the fact that this would be the only time the three most prominent Klingons from The Original Series would be together makes it even more remarkable and memorable. Terry Farrell manages to hold her own with the three veteran actors but this is much more their episode than hers and it's evident from the opening scene with Kor. Dax's involvement is a little stretched and her return to the station with no reprimand and only a few hard stares doesn't stand up but as with all the best homage episodes it's all about seeing the pieces and characters come together to give a nod to the classics. Unusually - and something very noticable - is the action-heavy content of the episode after the half-way point. It's not gory, perhaps a little brutal but not something that The Next Generation would have handled. If they had a battle it was over distance with phasers; more often than not in Deep Space Nine it's hand-to-hand (The Search, Part I, The Way of the Warrior, To the Death...). Perhaps not what Gene would have liked but another piece that stands the series away from it's predecessors and successors. In fact Crossover manages that with it's heritage firmly entrenched in The Original Series' Mirror Mirror but the creation of the alternative characters here is a master stroke. 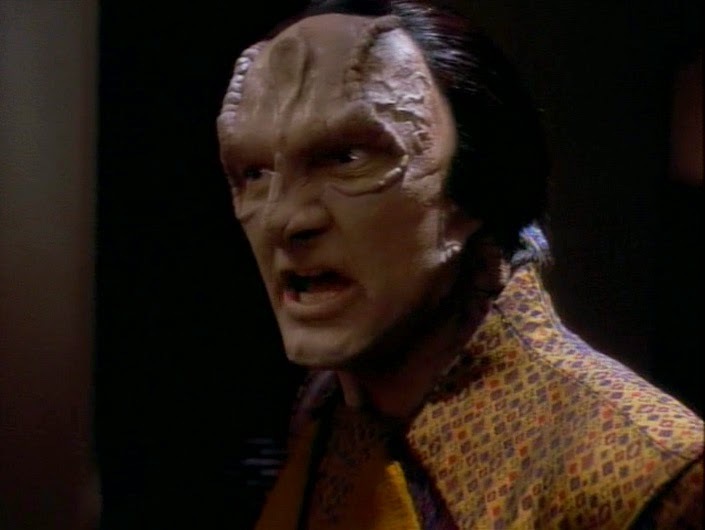 Garak becomes the cold, calculating military man we suspect lurks beneath the guise of a tailor in "our" universe while Kira transforms into one of Deep Space Nine's most memorable villains, overtly sexual, playful in her terrorising of Terrans and certainly not to be crossed in any way. She would be one of the few mirror universe characters to make it through the four episodes that continued the story. Crossover though is the best of the batch, echoing the feel of Terek Nor that we saw back in the Occupation during Necessary Evil's flashbacks but with a much nastier sense of oppression. 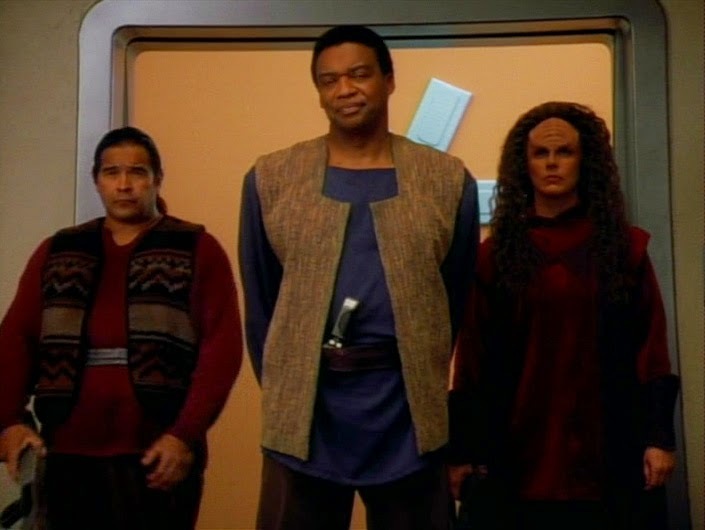 I'd have liked to see a second appearance from the sadistic phaser-toting shapeshifter security chief but his existence was cut abruptly short thanks to Bashir. This is also my Dad's favourite second season episode - whether it's a Kira Thing or a homage to The Original Series Thing I'm not sure but I have to agree that it's one of the year's best and the first episode I bought on VHS. Everything about this episode is right; it's a lot of fun but dark and unsettling all in one go. None of the other Mirror Universe shows in Deep Space Nine did it as good. Sandwiched somewhere between these two is the season's two-parter, The Maquis. Cal Hudson could well have been a recurring character within the Federation terrorist group (something Eddington later took up) however he only gets to step out here. As a side point note that both Hudson and Eddington had personal links to Sisko which makes their treachery even more hurtful. Could this have indicated that Hudson was slated to return and Eddington was subbed in season three? I found this to be a great story and equally balanced across both parts but as with any Maquis episodes pre-1995 it all screams set-up for Voyager and once that happened, it got a lot more consistent and made much more sense. This was also one of my few early Deep Space Nine VHS purchases (straddling two tapes) and was watched very regularly. While there's not much action here, the story is solid and certainly better quality than the poor Journey's End from The Next Generation. The Wire also manages to sneak in before Crossover and provides the first decent examination of exactly who Garak is or was. If you come away from watching this the first time without a headache you've done well. Twenty years on I loved this one - there are so many layers, lies, truths and suggestions that you have zero idea what to believe. After watching everything that follows, The Wire gives you a chunk of background that you never fully appreciate until years later. Most of the character bio that's established here would be the basis of the tailor for another five years. It works really well again after a few years of not seeing it as Andrew Robinson's portrayal of the tailor/spy just gets better and better. Rounding off the year is the superb The Jem'Hadar and while I've talked over the Dominion's arrival before it still has to be noted. Great episode, great effects and a jaw-dropper of an ending that you would never expect although after some of the events from the year we've covered maybe we all should have seen it coming?! But what of the rest I hear you cry? It's a funny old lot when we pick through it. Season Two has more peaks and troughs than any other year I can think of from any generation. Indeed, it goes from amazingly brilliant and engaging to the other end of the scale week on week with no consistency or sign of fluid improvement. The change in format from going anywhere must have taken quite a toll on the writers and watching these early show back can feel like arduous going at times. 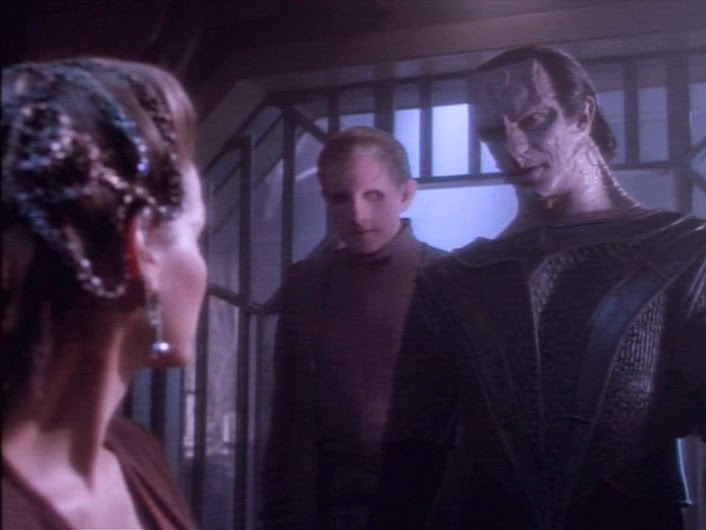 For example, Cardassians and Melora are good ideas which tie more detail into the Occupation of Bajor (as well as revealing the station's former name) and recycle a main cast idea from the show's development in Daphne Ashbrook's gravity-restricted Ensign Pazlar. Nor am I a fan of lame Ferengi episodes especially Rules of Acquisition. After a Bashir love story we get a Quark one. Seems block ideas were common in 1993! I won't dwell on these as they do seem to give more background on the cast than the more popular installments. They just pace very slowly and let down the rhythm of the show. 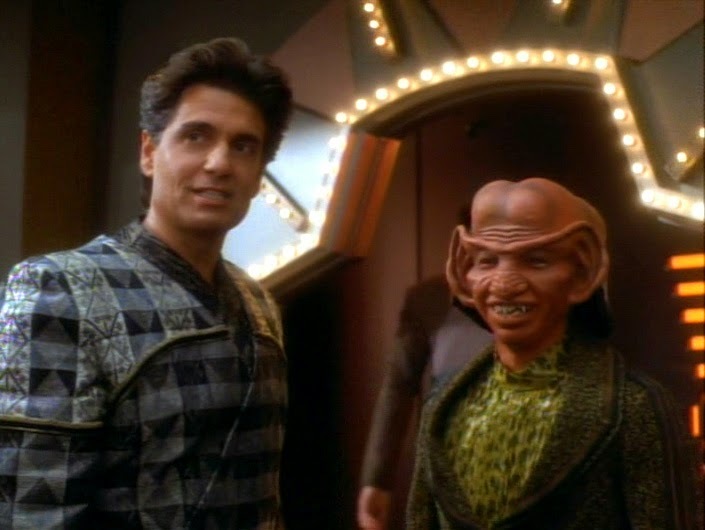 Over the following years the Ferengi shows would be my lower points of the year and usually indicated a really good episode would be following to make up for the squabbling and custard pie throwing. Aside from the appearance of a Nebula Class starship, a mention of the Dominion or Odo's dad dropping by to mark them out in the history books they were all nice filler character stuff. It's not that I torridly hate these episodes but when you compare them to anything from season three and beyond the quality isn't quite there; Deep Space Nine was still taking baby steps and not able to walk on it's own. Having season three as a time when this show was truly on it's own for a time seems to have forced the hand a little with that year producing top drawer drama from the off. Even those Ferengi episodes were near-bearable and I include Family Business there but not Profit and Lace. Even the second half of the season has some uneven footing. 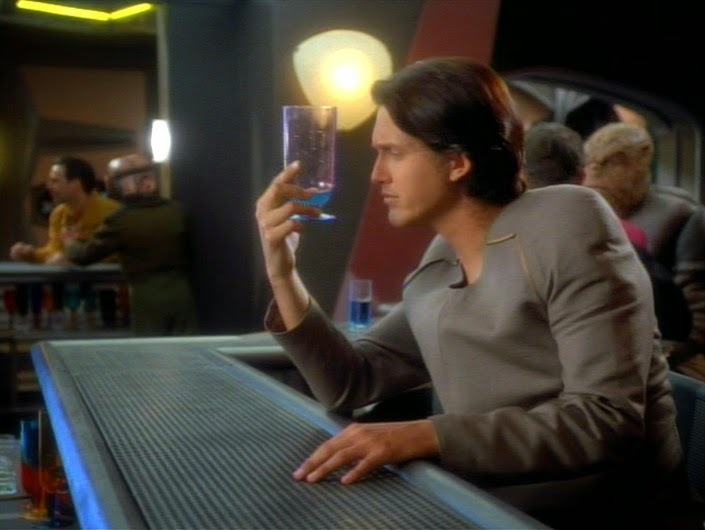 Paradise is much better a few years later and the conflict between Sisko and Alixus is some of the best at this early stage in the show's development with the commander's continued resistance to accepting their fate being an incredibly powerful part of the story. Shadowplay too had it's cool twist but this repeat viewing does highlight that it doesn't carry as much weight and ends up as a nice cute story about Odo and a child. The concept here is good but, while an episode like Future Imperfect delivers cool tweaks throughout that can be enjoyed on repeat, Shadowplay relies on you not knowing the outcome. The weakest point of the year is probably the duo of Playing God and Profit and Loss which left me cold all over again. Very average stories focusing on Trill initiates and Cardassian scientists. 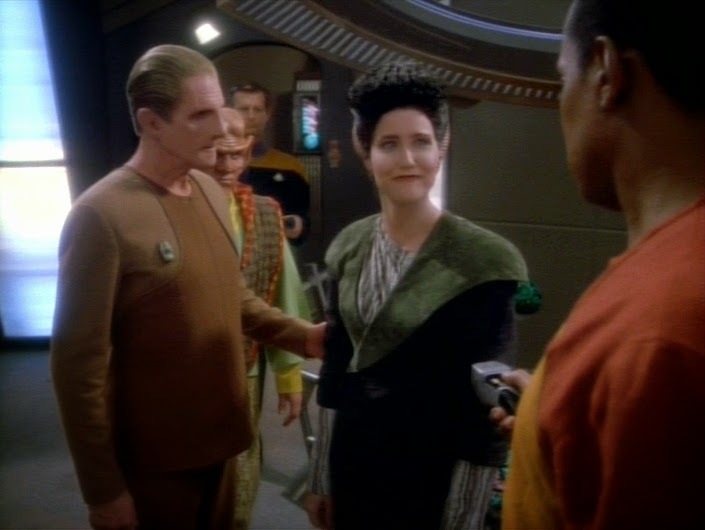 Neither of which have any influence on the rest of the show but do act to flesh out Jadzia and Quark. If these episodes had been part of the previous year they would have been head and shoulders above but such a large step was taken from that year to this that they get swallowed up by all the other outstanding contributions. The same could well go for The Collaborator and Tribunal which suffer from being sandwiched right between some of the best shows of the second season in Crossover and The Jem'Hadar season finale. I've documented my feelings on Bareil before. He straight bores me and his removal from the supporting cast mid-way through the third season was, for me, a breath of fresh air. I never believed the character and Philip Anglium never held my attention as the vedek seemed something of a wet lettuce. It's a nice whodunnit but its placement does make it suffer. Likewise Tribunal doesn't match up to the earlier O'Brien Hell story, Whispers. Colm Meaney does a good job but the conclusion still feels rushed after 20 years and we know it'll all work out. 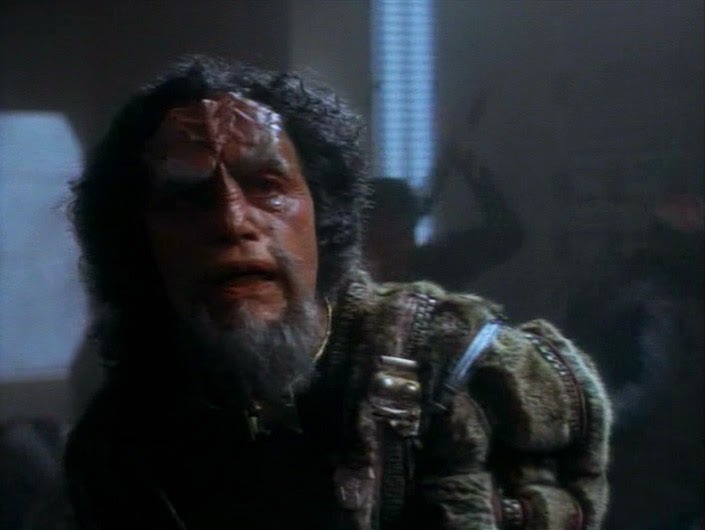 Getting to see the Cardassian judicial system in operation is fun and a distraction but it does come across as a late season filler before all the end of year explosions and exposition for season three. Having watched the first two seasons back in full for the first time in nearly two decades I get restless to watch the remainder of Deep Space Nine knowing that the weaker shows are now behind me. There was a lot of work still to be done when The Homecoming aired but the series was a different beast by the end of the year. It had matured, implanted the threat of the Dominion and given every character the chance to be explored at least once. I enjoyed season two originally and watching it back now reminded me of how much those later season episodes hooked me in for the next five years. For me this is the year that finally got me obsessed with Star Trek and into serious fandom territory. The second season steadied the ship and started to add the depth to recurring plot threads but it would remain a stepping stone from the era of The Next Generation as that show ended. 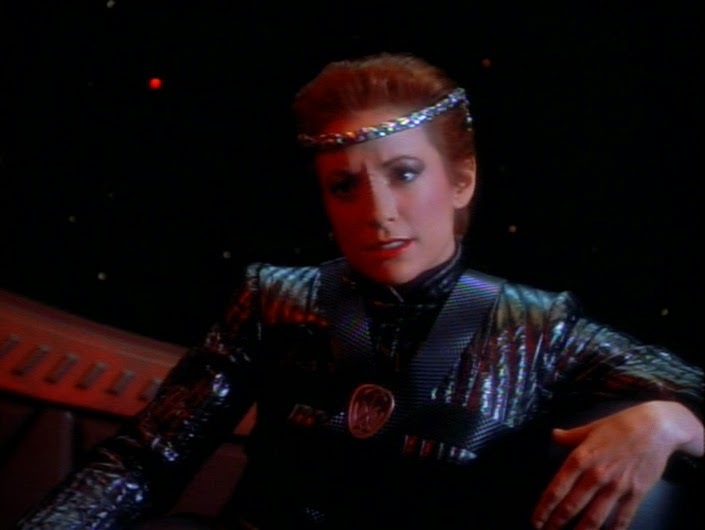 Season Three faced the challenge of going solo with no USS Enterprise-based show as backup. You can read our first season rewatch review Part One and Part Two as well as our discussion regarding Emissary by clicking the links!